Friday was Non-farm payroll day with an announced 248,000 new jobs created in September, the unemployment rate dropped to 5.9%. This is the lowest unemployment rate since 2008 so it “looks” like we have recovered and the financial crisis should only be a bad memory. I am going to tell you we are living in a financial mirage. In September, if you look under the hood you will also see 315,000 are no longer included in the labor force bringing the total up to 92.6 million people. Looking back to 2008, there were 78 million “not in the labor force” so we can see a nearly 15 million person increase in this category since then. We also had an “adjustment” of a negative 26,000 jobs subtracted to arrive at the 248,000 figure, so if believable the real job growth was 274,000. “Believable”? Not by me, here is Paul Craig Roberts take. My point is this, there are 15 million more people “not working” since 2008 but for “appearance sake” are categorized as “not in the workforce” or not looking for a job. Doing some very simple math, what do these 15 million represent? Somewhere between 4% and 5% of the entire U.S. population, that’s what! So we have the “lowest” unemployment since 2008 at 5.9% and this headline will be splashed all over the headlines that say “happy times are here again!” Before doing the very difficult math of “how much does 5.9 + four or five equal?” I would like to point something out. We are now about 30 days away from the national midterm elections, could the unemployment rate have been “engineered” downward to paint a rosy picture so the balance of power in the Senate remains Democrat? This was the very last employment number the public will see before they “vote early and vote often.” OK, I know you were dying to do the math, 5.9% plus either four or five percent equals either 9.9% or 10.9% … Of course, if unemployment was calculated the way it was back in the 1980’s we would have a figure approaching 20% but that would be totally unacceptable for the financial mirage we are living. Before moving on I do want to point out what Michelle Obama has been telling you herself. She has recently been heard saying the upcoming elections for the Senate are very important ones. She says if the “evil Republicans” take power, her husband will be impeached and all of the wonderful plans he rammed through may possibly be reversed. I agree with her, the upcoming elections are very important and probably the last ones before martial law descend the landscape. Another “mirage” or should I say “Houdini trick” is how the elephant in the room has disappeared. Have you ever seen old black and white photos or even movie footage of the bread lines back in the 1930’s? Do you remember thinking to yourself how bad it must have been to have lived back then? For me personally, those images were always scary because of the despair it portrayed. Fast forward 80 years or so to the present and we have bread lines all over again …only you can’t see them. There are now almost 47 million people on the SNAP program, this is about 14% of the population alone without counting food banks and charities that feed the homeless. Can you imagine seeing 1 million people in your state lining up two or three times a day for a meal? Can you imagine watching it on the news? Or worse, can you imagine seeing people fighting for places in line, freezing in the winter or sweltering in the summer while waiting for their turn? There are massive bread lines, you just don’t see them. You don’t see them because this too is part of the financial mirage (miracle?) called the United States. Not to worry though, the stock market is up. This too is mirage like. You have to first ask yourself, is the stock market “up” because of all the liquidity provided by the various QE’s? And since QE is now ending because the economy is “so strong” and unemployment “so low,” can the stock market stay up without the extra trillions of $ floating around? First let me point out how “up” the market is internally. The NASDAQ now has nearly 50% of its stocks in a bear market (down 20% or more). The Russell 2000 sports 40% of their stocks down over 20% and the average itself is now negative year over year for the first time since 2012. New highs versus new lows on the NYSE have almost turned upside down, on a daily basis there are less new highs and more new lows than any time since August 2013. Globally the advance/decline ratio has also broken down badly …and all this at a time when the Fed has promised to completely shut off the excess liquidity flow of QE. Can stocks go up further from all time high valuation levels while “free liquidity” is ended? I can only say this, stock market crashes have always come with the internals of the market weakening while the “façade” of high prices “looks” good and the fear of a crash nowhere to be found. We are there now in my opinion. This past week began with assurances Ebola could never reach the U.S., by the end of the week we knew differently. So far Dallas and Washington DC have confirmed cases and hospitals across the country have over 100 cases where Ebola is suspected. We also heard JP Morgan was “hacked” and 76 million customer’s information was compromised, this of course was blamed on the Russians. An epidemic would surely change the way business and commerce is conducted. Waking up one day to see your financial institution’s database and balances in shambles would also affect business and commerce. I point at these two examples because I believe the entire financial system is a mirage yet something will need to be blamed as the “cause” for its coming down. Nothing financial is as it seems or is being portrayed. I believe the Fed will by necessity have to reverse course and begin a new and even bigger round of QE in a desperate attempt to save the financial system again. QE has never worked in the first place, the public “reports” have been rigged so as to paint the picture that it has. The Fed will again use the only tool (QE) they have left. QE only provides liquidity, not solvency and insolvency is the problem. This can be equated to trying to build a house using only a hammer when shovels, screwdrivers, saws, etc. are also needed. any difference which party has the majority, they both are owned by Wall Street banks and others. correct on the debt buying back shares. Was not trying to be political just pointing out a Republican Senate will make it even messier. Had a nice time with family and friends this weekend at my niece’s baptism. Now it’s back to reality! 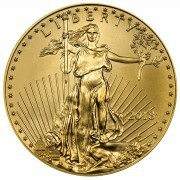 Do the US Mint’s sales reports get released on any particular day of the week, or is it just when they decide to do so? 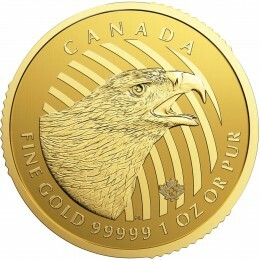 I’m very anxious to see how many silver eagles have been sold since the last report of $1.65 million. 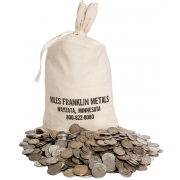 Also, does Miles Franklin release any reports of its Eagle sales? the mint has no schedule of releasing information. No, we do not report our sales. Thanks for reflecting light on the fundamentals behind the numbers which show rotten eggs. It’s very unfortunate most people will not get out of the way of this bull dozer. The best advise I can give everyone tuning in to this “is prepare for contact”. The central planners need a patsy to blame for their epic banking misadventures. “Russian hackers” will do nicely. Of course the victims in the West will still be pretty annoyed that the banks are closed and they can’t withdraw money to feed their kids. So the central planners also need a reason that keeps people from rioting. Watch as the central planners pose as heroes, fighting “Russian hackers” and “an Ebola outbreak” simultaneously. Not one man in a thousand will realise he is being duped. We are living one big lie. Black is white and white is black. The 99% are wearing rose colored glasses. Nefti’s comment above is correct in that when it’s time to riot and start the hangings the people will stay home because of the chance of getting Ebola. The elite have created the perfect game plan. Welcome to your screwing Americans courtesy Wall Street and Govt. Can you say FUBAR !!! Oops- I almost swallowed my tongue. Just read that a case of Ebola reported in Spain. This was a person with no connection to West Africa? I wonder if this is true? Its all a financial mirage for sure. It is also a shame, not only for Americans but also most of the rest of the world,as it will feel the crash as well. Some places will not be as hard hit as others. Personally, I would move from the USA. to the land where you cannot have a gun to protect yourself? Brazil would be good, they have guns there. do you speak Portuguese? I have been to Brazil several times, yes you could live out in the country but a gringo would still stick out like a sore thumb and have no network or community to rely on. 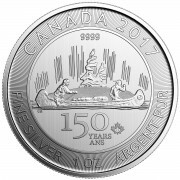 I recently sent a friend of mine, who is not really in the PM camp, a 1 OZ silver round for his Birthday with a card that said…. “In case of a Zombie Apocalypse…. Melt this down into a silver bullet and SHOOT THE ZOMBIE IN THE HEAD!!!!! unfortunately your friend has no idea what you tried to do for him. to keep the debt edifice from collapsing and NO, the U.S. has not “taken over the world”. The “world” is slipping away from the U.S.. Above is a link to countries that have Ebola. The only two age groups that posted positive job gains last month were the 55 and above age group and the 16-19 year old age group. These are low wage part-time jobs. Thanks to the destructive Federal Reserve ZIRP (zero interest rate policy), and the lies about our supposed low inflation rate, 230,000 of the 248,000 jobs created in September (92.7% of the jobs created) went to people 55 years and older. The remainder of the jobs created were in the 16-19 age group. The age group from 20 to 54 years lost 82,000 jobs from August to September. Our elderly are being forced out of “retirement” or forced to get a second job to deal with the inflation and the lack of interest income on their fixed income investments thanks to our insane monetary policy.